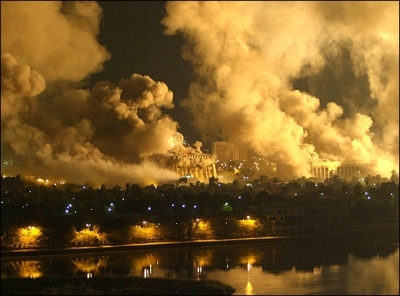 There is one thing Ru’a remembers very clearly about the night of March 20, 2003 – the wail of Baghdad’s air raid sirens. The 21-year-old joined millions of other Iraqis when she fled the murderous chaos of her country four years ago for the sanctuary of neighbouring Syria. Just 13 when George Bush launched the war which would remould the Middle East, she now lives with her family in Damascus and is enrolled as a dentistry student in the city. Although keen to return home, Ru’a is pessimistic about the future of her country. As for the argument that her country is a better place without Saddam Hussein, Ru’a doesn’t buy it. Another casualty of war; another life living in the limbo of post-invasionIraq. Well done Beeech! Will be keeping a close eye on it!